Flange-connection Lifting plug valve acc to ansi is applicable to the cutting and connection of pipe lines medium that are used in various industries, such as petroleum, chemical, pharmacy, chemical fertilizer, electric power industry etc under nominal pressure class 150-1500LB and working temperature-29°C-550°C. 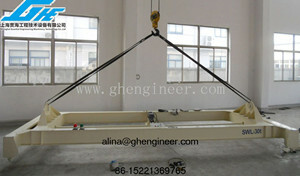 - The product has reasonable structure, reliable sealing, excellent performance. - Opening&closing of the valve is carried out while the sealed surface is taken off, so it will not cause abrasion on the sealed surface. - The materials of the parts and sizes of flanges can be reasonably configured according the actual operation condition of the requirments of the customers, so as to meet the various needs of engineering. - Structural feature:Bolted bonned, OS&Y, G.